Elton John married his long-term partner David Furnish in a ceremony at Windsor estate in Berkshire, the UK. A number of stars attended the ceremony. Among them were David and Victoria Beckham, Ed Sheeran and David Walliams. David Furnish and Elton John, who have two sons together, became civil partners in 2005. The couple’s sons Zachary, who was born in 2010, and Elijah, born last year attended the ceremony. Elton John has been including the hashtag #ShareTheLove on his Instagram posts on December 21. The teenager posted a photograph of the wedding lunch menu, which included wild mushroom soup with truffle cream, beef short rib and caramelized onion pie and warm chocolate pudding with ice cream. Guests were served Laurent-Perrier champagne. 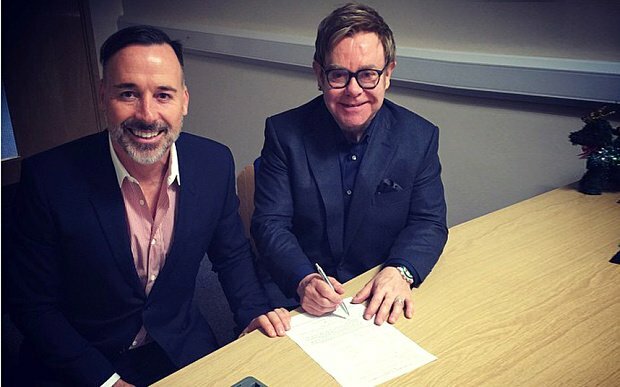 On December 21, 2005, Elton John and David Furnish held a civil partnership ceremony at the Windsor Guildhall. In March, the law was changed in England and Wales to allow same-gender marriage.